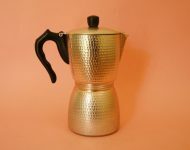 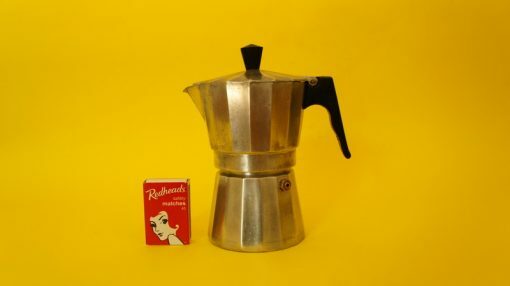 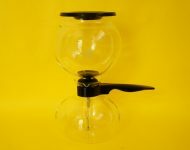 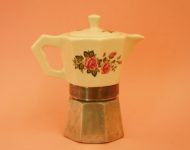 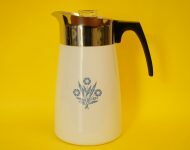 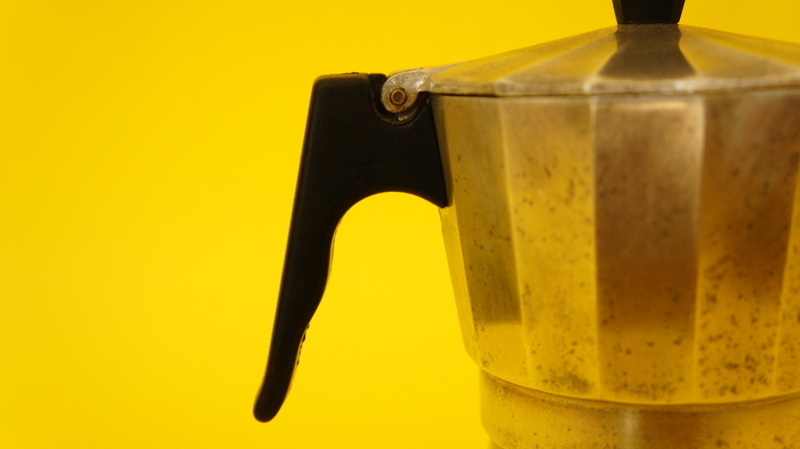 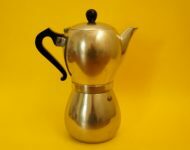 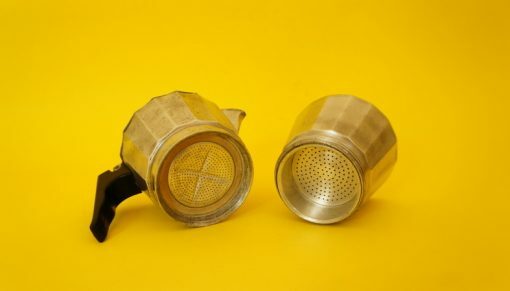 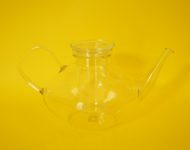 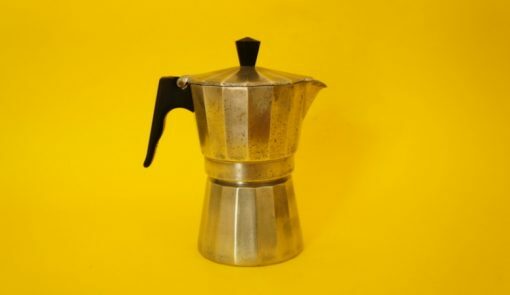 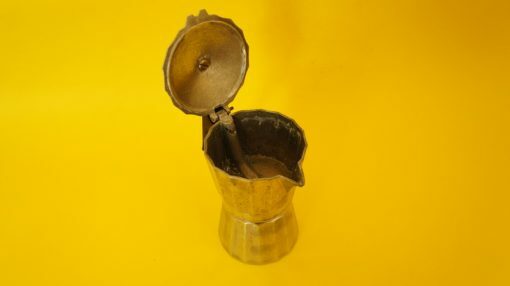 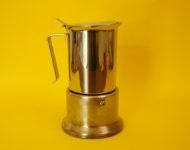 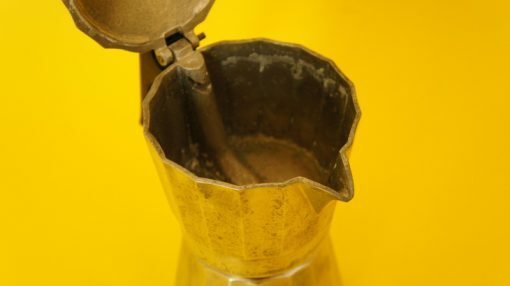 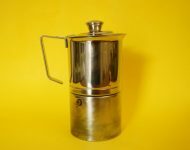 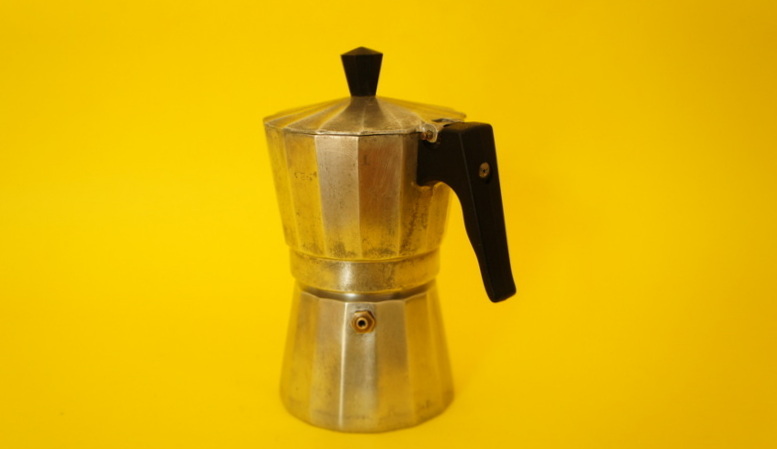 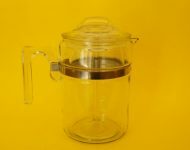 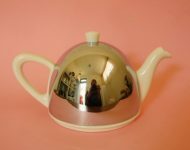 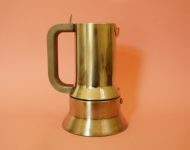 It may not be the cleanest moka pot we’ve ever had for sale, but I thought that it was such a handsome coffee pot that I was happy to overlook the wear and tear. 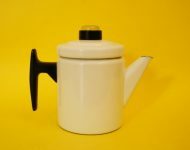 I know not everyone will agree with me, but I like the hard angles on this pot – it takes what’s already quite an industrial looking piece, and makes it even more masculine. 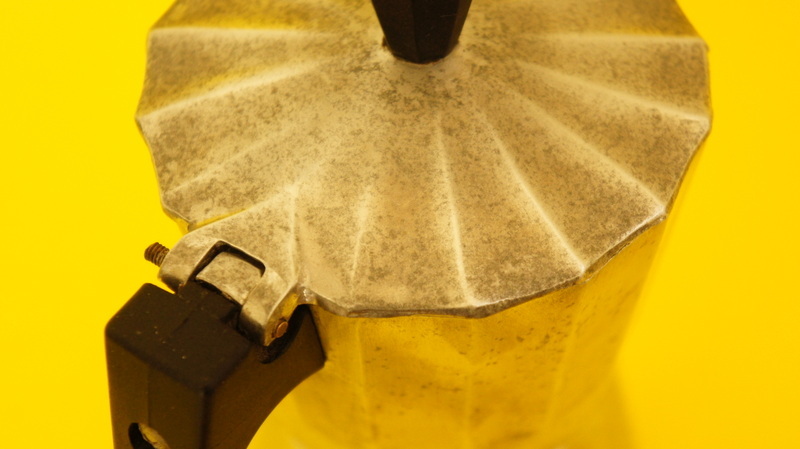 And while there’s a fair bit of wear to the metal, the seal’s still good, and being Italian, it’s probably pretty decent quality.